Costa Rica is a natural treasure in the middle of Central America that proudly shelters 5% of the existing biodiversity in the entire world. Costa Rica’s territorial division includes 7 provinces, which are: San José, Alajuela, Cartago, Heredia, Guanacaste, Puntarenas, and Limón. Together they offer an attractive tourist destination, of almost limitless possibilities, that include extensive rainforests, volcanoes, rivers, mountains, beaches and natural resources safeguarded by an important organization of national parks and forest reserves. The annual average temperature is around 70 to 81 degrees Fahrenheit. Due to its proximity to the equator, Costa Rica has no real winter period, and the weather can be classified as a dry and wet season. In normal weather conditions, the dry season starts from mid- November to April and wet season from mid-May to November. The months the rain the most are September and October. 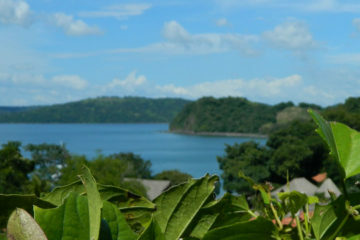 The province of Guanacaste is the driest of the country, making it a recommended area to visit during the rainy season. Even during raining season, travelers can expect sunny mornings with clear skies and afternoon showers that last about two hours before the sky clears again. Wet season is also called “Green Season” due to the rain making everything around look greener. Typically travelers will find low season rates between September and mid-November and enjoy a lees crowed tours and hotels. Although is a small country, Costa Rica is one of the most highly valued tourist destinations on this planet. Whether for a beach getaway in Tamarindo, a rainforest adventure in Arenal Volcano or a wildlife adventure in Manuel Antonio, travelers will find all the necessary components to have an unforgettable vacation in one single place. 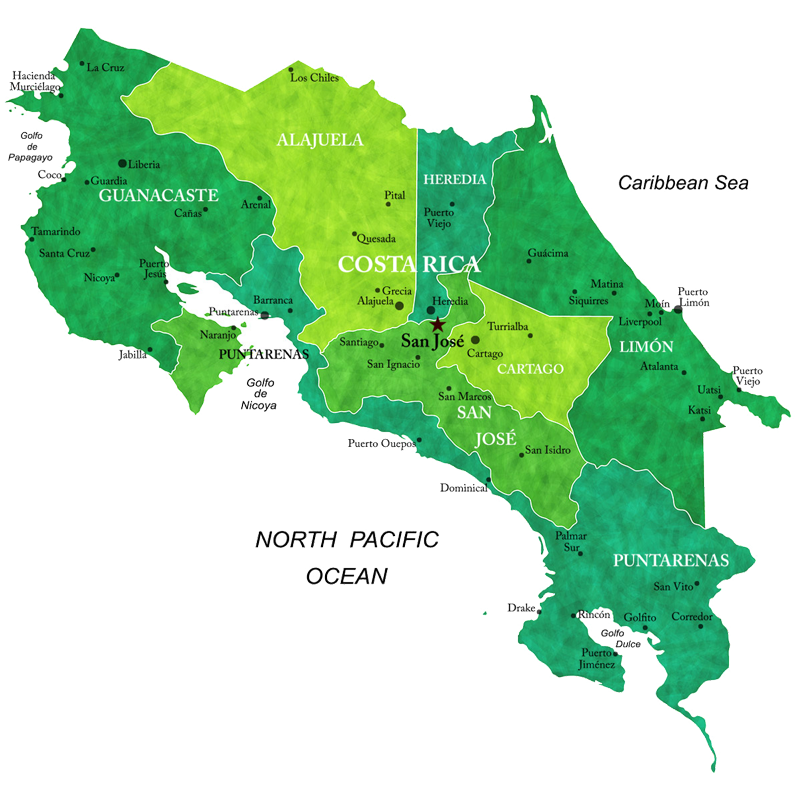 Costa Rica is located approximately ten degrees North of the Equator, on the isthmus of Central America. Costa Rica is bordered by Nicaragua on the North and by Panama on the South. To the East lies the Caribbean Sea and to the West, the Pacific Ocean. Costa Rica is one of the top 20 richest countries in biodiversity on Earth in terms of species density. It means that it is possible to find more species in 1,000 km2 in Costa Rica that in the same area in countries like Brazil or Colombia. Due to its incredible biodiversity and variable climate, Costa Rica offer travels a variety of destinations to explore and enjoy. With so much to see, deciding where to go can be challenging, but no worries! 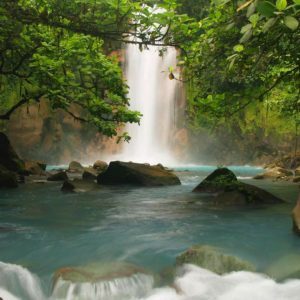 Below you will find the most visited locations in Costa Rica that will let you experience the best of what the country has to offer. Our fully equipped itineraries will offer a combination of the most visited locations in Costa Rica. These programs range from 5-10 days, plenty of time to enjoy one, two or three locations. See what everybody is talking about! A unique country that offers visitors the opportunity to see different destinations and habitats on a single vacation. Pura Vida! San Jose is the capital of Costa Rica, head of the province of San Jose and the nation’s largest city. Located in the Central Valley, San Jose is almost entirely culturally influenced by the Europeans, in part because of the Spanish immigration after Costa Rica was discovered by Christopher Columbus. This can be seen in the architecture of the city, namely theatres, museums and houses in the city center. Once in the city, visitors may choose among dozens of one-day tours to the most outstanding natural places, inside and out of the Central Valley. This includes national parks, forest reserves, and lands with an abundance of coffee plantations as well as the popular Poas and Irazu Volcano, which are not far from San Jose. 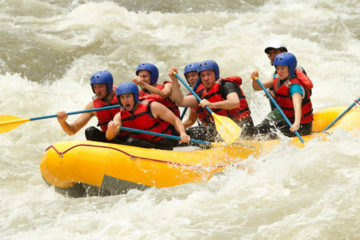 Another day trip option from San Jose is the Pacuare River rafting, rated as one of the best in the world for white water rafting. For the hotel accommodations, San Jose offers a wide variety of options for every budget. Most travelers spend the first night in San Jose downtown to explore the local fresh cuisine and architecture. Others opt for San Jose as a starting point to then head out to their next destination. 3 hours from San Jose (SJO) airport/ 3 ½ hours from Liberia (LIR) airport. 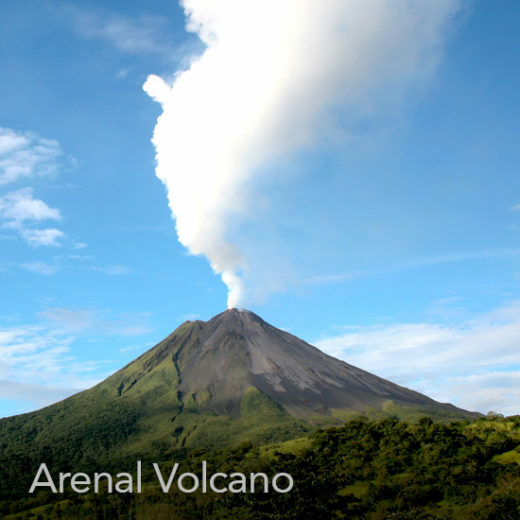 The impressive Arenal Volcano is located in the northern of Costa Rica in the province of Alajuela. Alajuela’s territory spreads to the north, reaching the boundary with Nicaragua. This province has an enviable natural richness and is close to many of the spectacular sightseeing’s of the country like the world-famous Arenal Volcano. This 7,000 years old volcano has a beautiful perfect cone shaped silhouette and is one of the most active volcanoes in the world. Thanks to its geothermal activity, several natural hot springs are located in the area offering visitors an ideal way to relax after a day of adventure. The area is also filled with wildlife, waterfalls and rivers making Arenal an obliged stop for those who love adventure and Costa Rica’s natural richness. 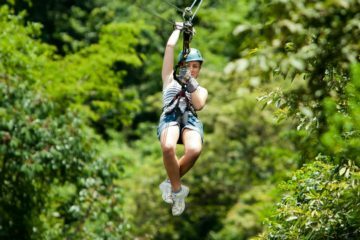 Activities like zip lining, rappelling, rafting, river safari boats, hiking, waterfalls, hot springs and even fishing in Lake Arenal are among the most popular things to do in the area. 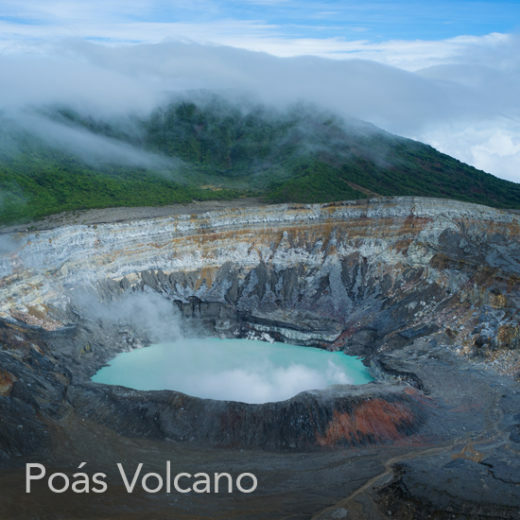 Travelers have also the option of exploring the outside surroundings of Alajuela and visit Rio Celeste and Tenorio Volcano. A challenging hike of 4.5 miles that takes guests to the Rio Celeste Waterfall, known for its bright color blue river. The wide range variety of hotel accommodations in Arenal is extensive. Most of the hotels in the area are facing volcano offering guests panoramic views of “our little giant”. The area is also noted for its European style spas offering body massages and healing waters. 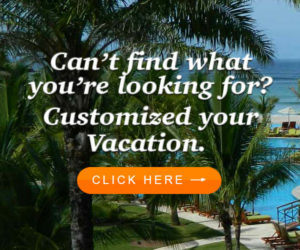 Travelers also have the option of choosing eco lodges accommodations to luxury resorts. 3 1/2 hours from San Jose (SJO) airport/ 3 hours from Liberia (LIR) airport. 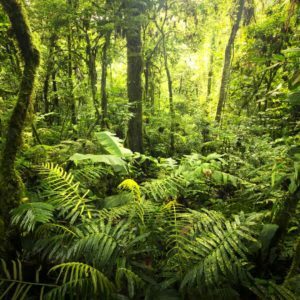 Monteverde, located north of Puntarenas province, has earned its name as one of the most outstanding wildlife sanctuaries in the New World tropics. 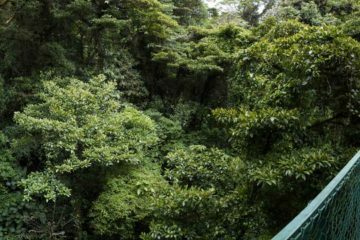 Nowadays, Monteverde and Santa Elena Cloud Forest Reserve are among one of the most popular touristic destinations in Costa Rica. There are over 100 species of mammals, 400 species of birds, 120 species of amphibians and reptiles, and over 2,500 species of plants among them 420 species of orchids, as well as tens of thousands of insect species. Monteverde Cloud Forest is visited by scientists, bird watchers and wildlife lovers from all parts of the world that enjoy ecotourism. 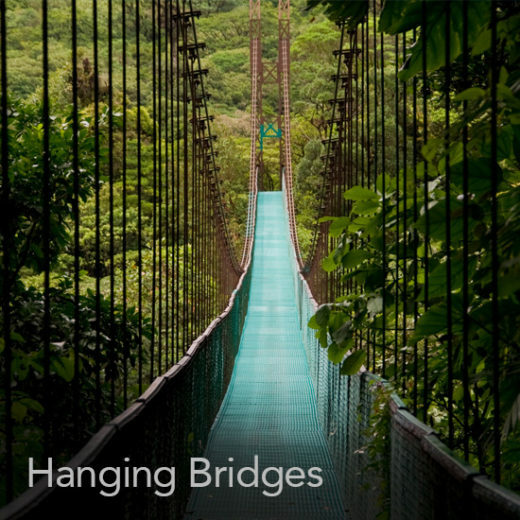 This true paradise for nature lovers and eco-travelers, also offers other activities that include hanging bridges, superman zip lining, horseback riding, coffee, chocolate, cheese tours and butterfly, hummingbird and frog exhibits. Due to the conservation efforts and life style centered on nature, most of the hotel accommodations are eco lodges located on luscious green mountains. The rooms are designed to bring guests close to nature in a rustic, comfortable and elegant atmosphere overlooking the forest and Nicoya Gulf. 3 hours from San Jose (SJO) airport. 25 minutes from San Jose to Quepos. Manuel Antonio National Park boast some of the country’s most varied and breathtaking sceneries. Surrounded by lush, very wet tropical forest, the park’s trails offer sightings of white-faced monkeys, sloths, coatis, raccoons, iguanas and many bird species, as well as the Costa Rican squirrel monkey. 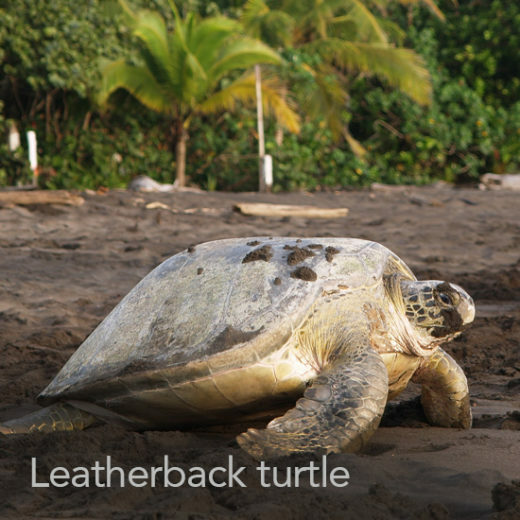 The park also protects twelve islands that serve as excellent refuges for several seabird species, as well as several stunning beaches (Espadilla Sur, Manuel Antonio and Puerto Escondido), a 14-hectare lagoon and a mangrove swamp. With its impressive white-sand beaches, blue waters of the Pacific and hundreds of hectares of rainforest, this park is one of the smallest in Costa Rica, but at the same time, one of the most highly visited. 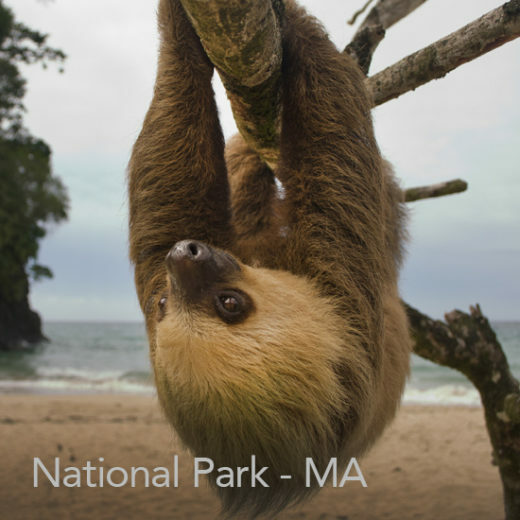 In 2011, Manuel Antonio was listed by Forbes among the world’s 12 most beautiful national parks. 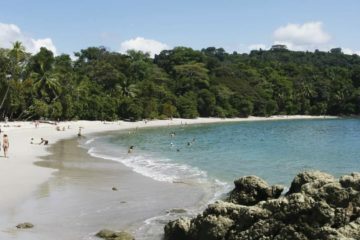 Besides the Manuel Antonio National Park, this area also offers great sports fishing, rafting, ATV, boat river safaris, Carara National Park, horseback riding and more. For lodging options, Manuel Antonio offers unique boutique hotels that range from 3* to 5*. Most of the properties offer stunning views of the Pacific surrounded by the magical tropical forest. Travelers will experience a combination of rainforest and beach in a single location. 1 hour from Liberia (LIR) airport. 45 minutes from San Jose to Tamarindo. With a total of 5,921 sq. miles and more than 400 miles of coastline, the Guanacaste tourism area comprises the Pacific Coast area from the border of Nicaragua to the Bongo River estuary in the Nicoya Peninsula. This part of the country offers all-inclusive resorts. 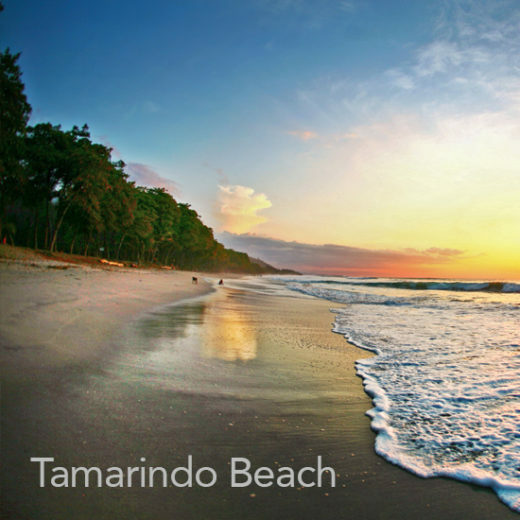 Tamarindo, one of the main spots in the province of Guanacaste, is the most accessible tourist towns in Costa Rica, Tamarindo offers a wide range of activities like surfing, sports fishing, snorkeling, golf, zip line, rafting and national parks. Boutique to luxury hotels as well as villas are located in the sunny sands of Tamarindo. Shopping and dining options are plenty in this area. Despite the town’s recent and ongoing development, it retains the laidback vibe that is so characteristic of the region. 40 minutes from Liberia (LIR) airport. 45 minutes from San Jose to Liberia. 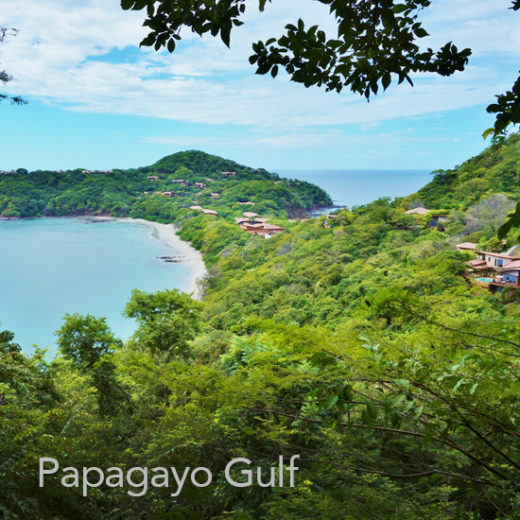 Located in the northern of Guanacaste, Papagayo Gulf is the location for Costa Rica’s premier luxury resorts. Rest and relaxation always go hand in hand in the Gulf of Papagayo, with mesmerizing ocean views and intimate settings and activities, as well as lush tropical greenery at every turn. This area is perfect for watersports, swimming and sport fishing. 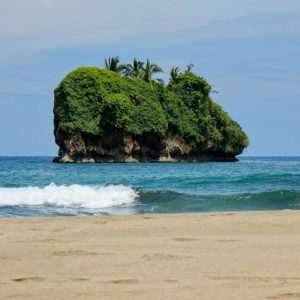 Being Guanacaste the driest part of the country, Papagayo always have warm weather and calm waters throughout the year, so visitor can come and enjoy this area of Costa Rica any season they prefer. 6 hours from San Jose (SJO) airport. 35 minutes from San Jose to Tortuguero. Explore Tortuguero! 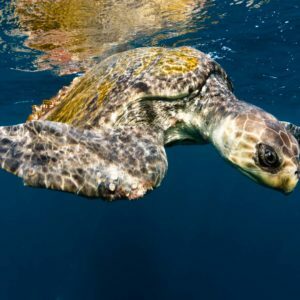 land of an incredible biological diversity where at night from July to September, impressive Green Sea Turtles nest on the beach. Tortuguero is a tropical sanctuary for more than 300 different species of birds and a natural habitat for an amazing array of wildlife. This includes monkeys, crocodiles and iguanas, among many others. Tortuguero is located in the Northeast area of the Caribbean Coast of Costa Rica and is often compared to as the "Amazon of Costa Rica" for its rich vegetation, fauna and the navigable network of lagoons and canals that cross the National Park from Southeast to the Northwest. Weather is characterized by warm, breezy days. November through June are the cooler months. From the middle of July to the end of October is considered the dry season of the area, however you can experience regular rains.